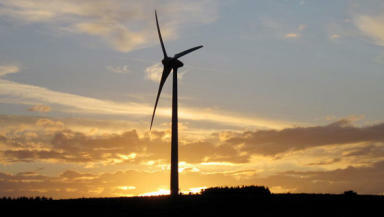 WWF Scotland says the energy generated was equivalent to 99% of all the country's needs. Wind turbines provided enough energy for almost double the number of homes in Scotland last month, according to WWF Scotland. Strong winds and storms during October helped turbines produce more than 1.7 million megawatt hours (MWh) of electricity to the National Grid. Analysis by WWF Scotland of data provided by WeatherEnergy found wind power provided electricity to 4.5 million homes, the equivalent of nearly twice the number of households in Scotland. Wind power provided more than 100% of electricity demand for Scotland on 15 days during October and supplied enough electricity to power all of Scotland's homes on 28 days. October figures also show Scotland's total electricity consumption, including homes, business and industry, for October was 1,749,680 MWh, with turbines generating the equivalent of 99% of all Scotland's electricity needs. 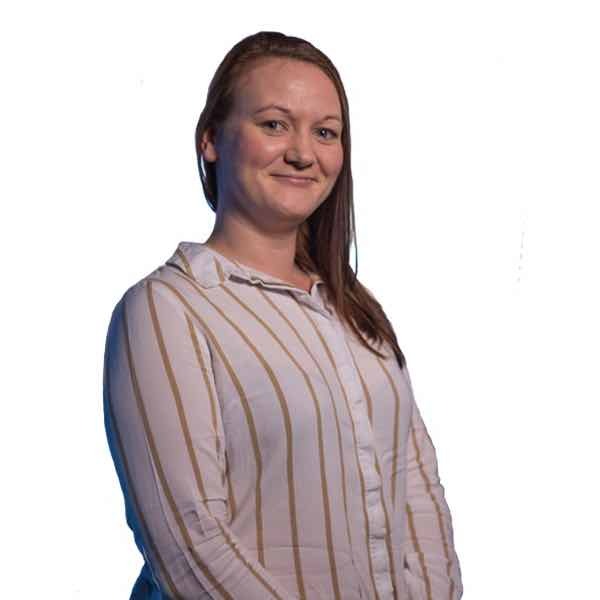 WWF Scotland's acting head of policy Gina Hanrahan said: "No one will be surprised that October proved to be a spectacular month for wind energy, with some high winds, including the tail end of Hurricane Ophelia. "Fortunately our infrastructure coped well with the windy weather which provided enough to power nearly twice the number of households in Scotland and almost all of our electricity demand." She added: "Scotland's renewable sector is thriving but to have continued growth of clean, cheap power the UK Government needs to allow onshore wind and solar to compete for contracts on a level playing field. "This is backed by everyone from the Scottish Government to the National Infrastructure Commission to Ofgem and, most importantly, the general public. 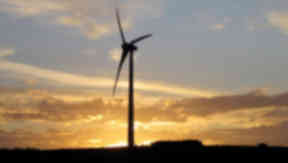 "Renewables, including onshore wind, are riding high in the polls with record levels of support. Consumers, the industry and the planet would all benefit from their continued deployment."